Measurement and monitoring systems from Leica Geosystems are used by engineers, scientists and researchers who measure, model and analyze natural phenomena, such as earthquakes, volcanic eruptions, landslides and tectonic drifts. Leica monitoring systems are also used to measure and monitor bridges, dams and high-rise buildings during construction and beyond. The Leica GeoMoS software provides a highly flexible automatic deformation monitoring system that is able to combine geodetic, geotechnical and meteorological sensors to match the needs of your monitoring project, whether it is large or small, temporary or permanent. It is surprising what structures are monitored all over the world (Leica GeoMoS). 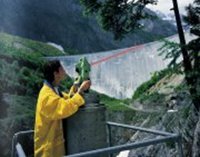 Dams, bridges, hillsides, coal mines and tunnels are monitored fully automated 24/7 by the Leica GeoMoS system. 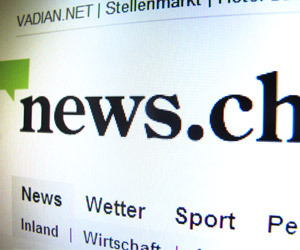 The monitoring data can be accessed via internet. If predefined limits are exceeded, Leica GeoMoS is able to inform the responsible persons via short message. Leica Geosystems relies on ASPSMS as short messaging partner already for many years. To build a new local bypass in Traunstein (Germany) a railway track had to be tunnelled. The affected railway line had to be kept in operation during the construction work. To guarantee full safety in the save operation, German Railways demanded permanent surveillance of the section. Around 100 measuring points were permanently monitored by fixed sensors. Additional meteorological sensors, a webcam and 38 tilt sensors were installed. The appliances automatically measured the 100 measuring points in a predefined cycle and the tilt sensors mounted on the railway sleepers recorded every movement of the road bed. The collected data was sent to Leica GeoMoS in real time and visualized with Leica GeoMoS Web for a location-independent access. If a defined tolerance was exceeded, GeoMoS automatically sent a short message to the dispatcher at German Railways who shut down the affected section. Real-time notification is vital for the success of real-time monitoring. By using the ASPSMS System to send information of highest priority, Leica Geosystems relies on Swiss Quality for its notifications.